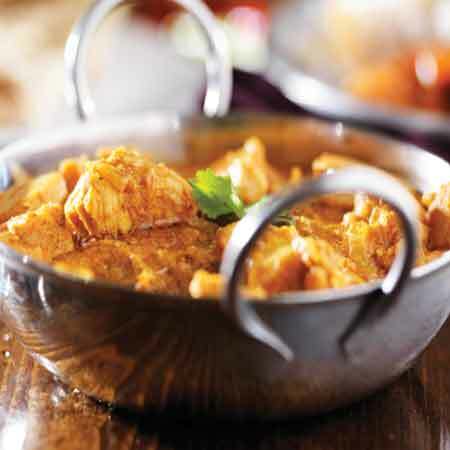 This curry sauce is a delicious option for a chicken curry or as a side with chips. Fry off the onion and garlic in the spray oil until soft. Add the curry powder, flour, tomato puree, ginger, cinnamon, sweetener and salt. Fry gently until spices are cooked but be careful not to burn them (add a few spoons of water/stock as you go along as you will find it dry and it will start to stick - you don't need to keep adding oil). Add the cloves, chicken stock, lemon juice and mango chutney. Simmer for around 15 mins to let the sauce enrich. Then remove the cloves (optional) and blend. I added leftover roast chicken and served with rice and/or chips. Love it. Just like chip shop curry. So easy to make. I love this meal great hot and then cold on a wrap for lunch the next day! I would really recommend this!